The science done in the department is critical to help understand the world we live in, in particular how organisms function in health and what goes wrong in disease. The pay offs are knowledge and ultimately cures. Also crucial to our mission is to promote science in the community. Our by trainees and faculty participate in a number of activities, most prominent of which is SEEK, Science Engagement and Education for Kids. 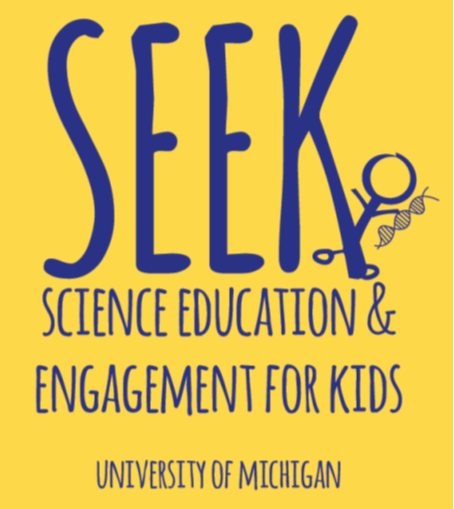 Seek is a new and developing program that grew out of visits by Physiology PhD students to local elementary schools including Wylie in Dexter and Holmes and Estabrook in Ypsilanti. Our students designed and led hands-on activities designed to introduce how the brain, heart, digestive, immune and breathing systems work. This program has grown at the grass-roots level through word-of-mouth and now has students from several programs at Michigan participating. These day or half-day visits are both useful and a lot of fun, but our goal for SEEK is to make it a more enduring exposure to science.  We are working with the Center for Research on Learning and Teaching to incorporate more frequent, shorter visits to underserved schools as an option for completing requirements of the Teaching Certificate. This is a win-win: our trainees get to make science a part of the curriculum for kids and also gain valuable teaching and communication skills.